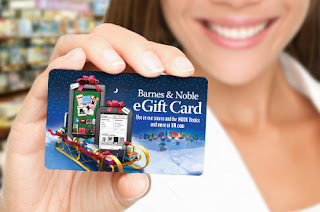 $21 for a $15 Barnes & Noble Gift Card, $50 Restaurant.com Gift Card, $10 in Eversave Credits + Up to $4 More in Credits! Right now at Eversave, you can get up to $79 in various gift cards and credits for only $21! Plus, if you're a new Eversave member, you'll get $2 credit when you sign up, and if you purchase the deal and share it, you'll get another $2 in credit placed into your account! Since codes are valid immediately, you could turn this into a last minute gift. Just print out the voucher and place in a nice card...voila!